Issuing a bank-loan is not so easy. 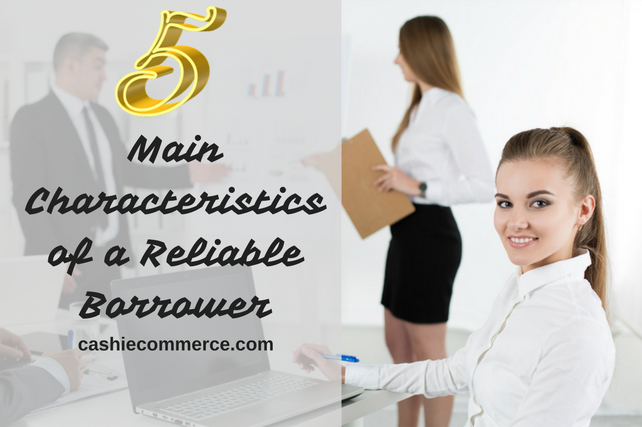 To have a bank officer give you a loan, you must have a number of characteristics. Your credit history should be perfect. Your income is stable and constant. But these are just the most basic criteria by which the bank assesses your financial position. If you want to take a loan, in order to better prepare for a meeting with the lender, you need to know what requirements the bank makes to its borrowers. One of the most common reasons for denying a loan is the insufficient credit limit. It means that your income is not enough to take the amount you requested. Despite the fact that banks almost never offer this option on their own, you can try to ask the bank for a smaller amount. In this case, the chances of obtaining a loan are increasing. What level of income will be suitable? Under the law, if you do not pay on the loan, the court can seize the creditor to 50% of your earnings. Therefore, the bank should make sure that no more than half of your income is spent on payments. However, this criterion varies depending on the financial institution and can be much more stringent. The bank estimates not only who you work for, but also the financial condition of the firm, the type of your contract and the duration of the work in one place. For example, such professions as a janitor, police officer or taxi driver are less popular for banking managers. The thing is that according to statistics, exactly these people with these professions have established themselves as not very responsible borrowers. Also, creditors can treat you with caution if the firm in which you work has debts, or some employees have problems with debt repayment. It is very important to have a permanent and formal employment contract. You can get a huge salary, but if your employer did not arrange you in accordance with a law, you might not qualify for a loan. If in the past you had any problems with the loan repayment, it will be very difficult for you to convince the bank that this will not happen again. The reason for the refusal can be affected even by a 2-3 day delay because it tells the creditor that you are not a very obligatory payer. To fix your credit history, you will have to be a working borrower for several years. In realizing this, cash loans online can help you. Quick loans are very easy for issuing and fast and you do not need to collect any documents other ID. Returning money on time, you will slowly improve your credit history. Criminal records definitely will not help you get a bank-loan. You will most likely be denied, even if the previous conviction was conditional and the limitation period has long expired. The bank usually prefers to avoid such borrowers not to put at risks. The creditor’s decision may also be affected by the fact that your relatives had a criminal record. This can become a serious problem on the way to obtaining a loan since nothing can be changed here. Here, a combination of factors is evaluated. It is much easier to get a loan for women from 35 to 45 years, preferably married having 1-2 children. An important factor is the level of borrower education. The lender will also pay attention to your appearance and behavior. Despite the fact that it can only be more difficult for prejudice, untidy, impolite and nervous people to get a loan. But we should stress out that when applying for a loan online, any client should not have an ideal reputation. Even clients with bad credit may be approved for a loan online. You just have to meet several requirements, for example, becoming a legal resident of the USA, being of 18 years old, having a constant working place for 3 months and some other aspects. As a result, it becomes more affordable to address online lender you choose and ask for payday loans which may also contribute to your credit history improvement. If you still have a desire to get cash loans online you are welcome to get on a roll.